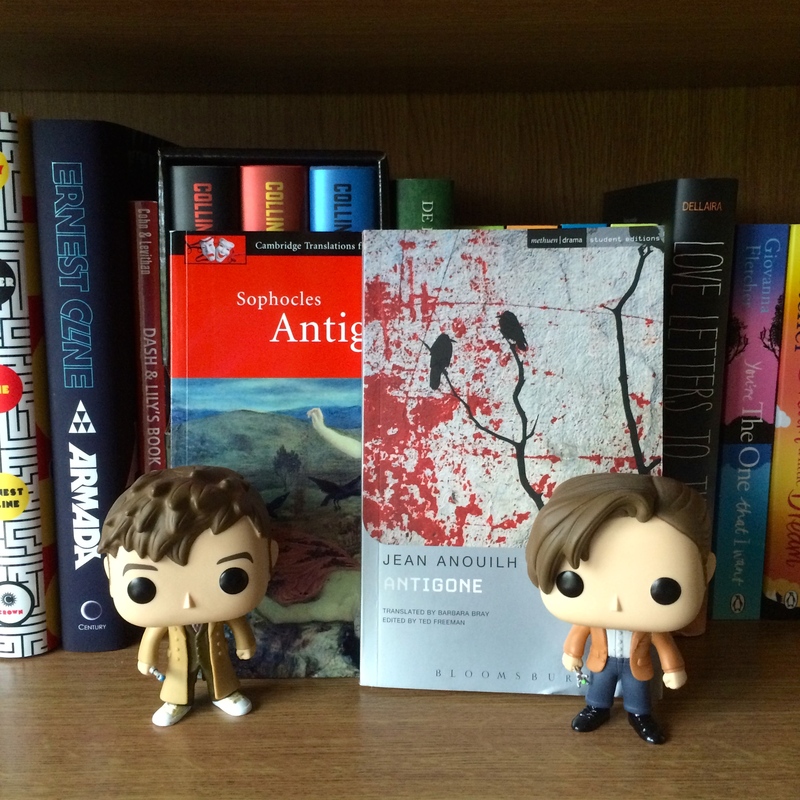 “‘Antigone’ by Jean Anouilh is a 1940s play based on the original version by Sophocles. It is set in France during the German occupation, and as a result there is a largely political motivation driving the play. The story-arc is largely identical to the original, with the exception that there is more ambiguity towards who the more moral of the characters are: whilst Antigone is the unquestionable heroine in the Sophocles play, the audience tendency leans towards Creon as being the more socially balanced individual in the Anouilh version. The play commences following the deaths of Antigone’s brothers Etéocles and Polynices, the ruler(s) of the nation. Following their death, their uncle Creon ascends to power: unlike the Sophocles version where he was presented as a power-hungry individual, in this work he states that he never wanted the responsibility (largely due to the German occupation and the resistance). As with the original, Antigone swears loyalty to her brothers and accepts her fate of death to ensure her disgraced brother Polynices a proper burial. Unlike the original, the Anouilh version sees a more intense debate play out between Antigone and Creon as to reasons to live and die. It wasn’t a bad play by any stretch of the imagination, but I didn’t enjoy the time period in which it was set, and I didn’t think the characters actions were as believable as in the Sophocles version. I’m definitely excited (and very daunted) about writing my essay comparing these two plays – it’s due four weeks today, I’d better get a move on!